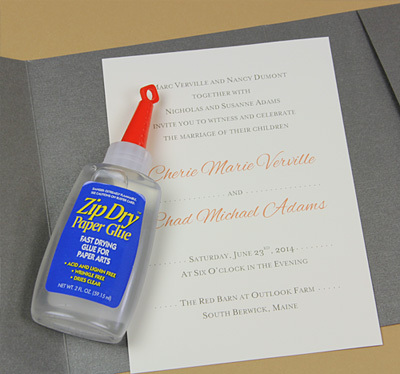 Avoid Wrinkly, Lumpy Pocket Invitations – Use the Right Glue for Job! We found that all four adhesives held quite strong (and no one will peel your invitation card from your pocket to prove us wrong, we promise). 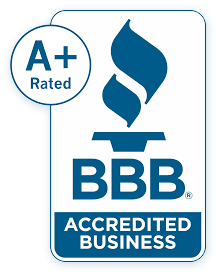 Below, find out how they performed in the other areas, and which one we deemed “best overall pocket adhesive”! Your average glue stick – you know the one. You pop off the cap, twist the bottom to get the glue out, spread it across the back of the paper. You’ve been using them since kindergarten. They’re sold everywhere – yeah, that one. Overall, not so hot. 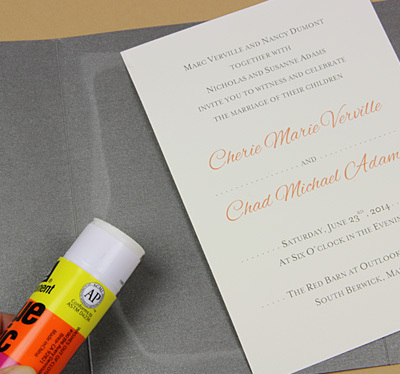 Though glue sticks are readily available and convenient to use, they are probably better for adhering colorful macaroni to construction paper than for making professional pocket invitations. DOTS are clear, thin 3/4″ round pieces of double sided tape. To use DOTS, peel them off their base sheet, place them on paper, and press firmly. To expose the other adhesive side of the DOT, remove the top layer by pulling the peel-away tab. Once your paper is covered with the desired amount of DOTS, press it firmly on the surface you wish to adhere it to. 5 DOTS were placed on the center panel of the pocket – 1 in each corner and 1 in the center. Thumbs up in all categories! Clean – no sticky glue in sight! Lies completely flat – no adhesive presence or wrinkles whatsoever! 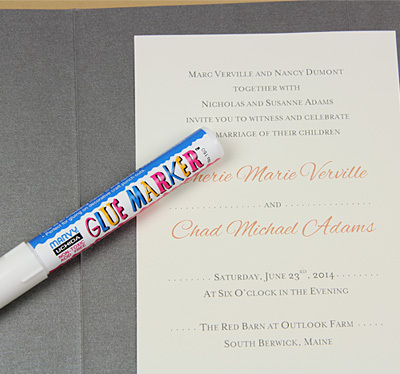 A glue marker is best described as your classic white liquid school glue in a marker format. To use, just press the marker tip on the paper until glue appears, then spread around. To test, we spread glue around the edge of the center panel and made an “X” in the center as well. The results? Not too shabby! 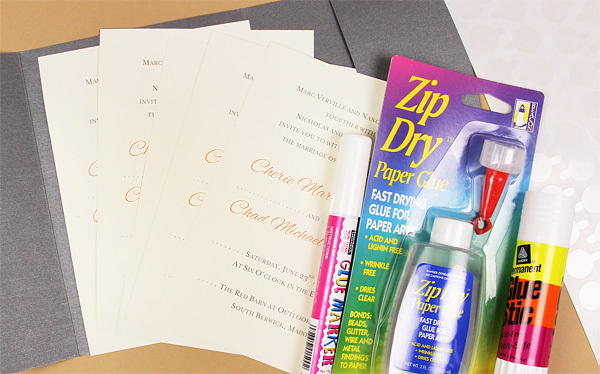 You can find lots of information on this great adhesive in our ZipDry product review, but in a nutshell, zip dry is a paper glue specifically designed not to wrinkle paper and to dry super fast (hence the “zip”). It’s a clear, thick glue that is squeezed out of a thin applicator. You know the drill – we traced the perimeter of the panel with glue, and threw an “X” in the middle for good measure. Being a “paper glue” and all, we were not surprised to find the results were great! And the Winner of Best Overall Pocket Adhesive Is. . . But as we listed above above, DOTS have a couple cons of their own. Take our recommendation with a grain of salt and always keep your own personal preferences and invitations in mind. ZipDry and Glue Markers are great products too, and if you find they work better for you, by all means, use them! 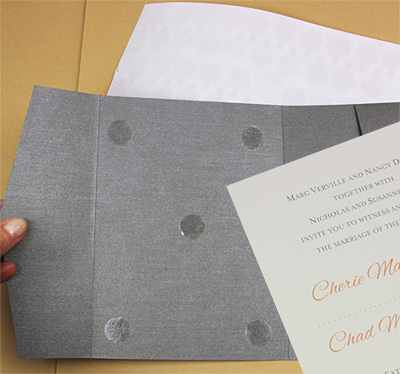 For more tips of assembling great pocket invitations, view the following article! Is the zip dry glue akin to rubber cement? I’m surprised rubber cement wasn’t in your test, since it is specifically designed for paper. It can be a bit runny & smelly, but it’s my personal favorite. The proper way to apply rubber cement is to do both surfaces lightly, and then you can slide the paper around until it is in the exact right position. Any excess glue can be rubbed off very simply without leaving any residue or smudge or damaging the paper. It doesn’t wrinkle or bulge. The only other con is that it really doesn’t work for anything besides paper, so if there are pressed flowers or ribbons or anything else to glue, you’ll need a different glue. If I’m making my own Pocket Invitation. What’s the best glue to hold the pockets together? I personally love the Scotch Advanced Tape Glider for my pockets, the strongest adhesive I have found yet!